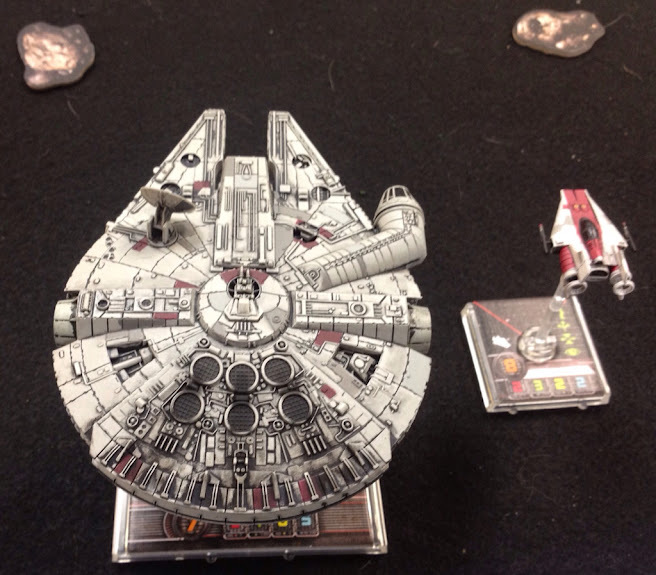 I was fortunate enough to participate in the FFG Kessel Run event hosted at my FLGS, Six Feet Under Games. 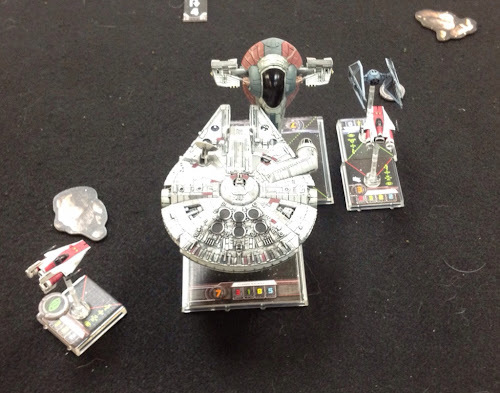 And, despite my many mistakes I was lucky enough to walk away with the Millennium Falcon as my prize. I have been wanting to use and check out this piece ever since it was announced. The model is very nice and I am quite please I walked away with it. 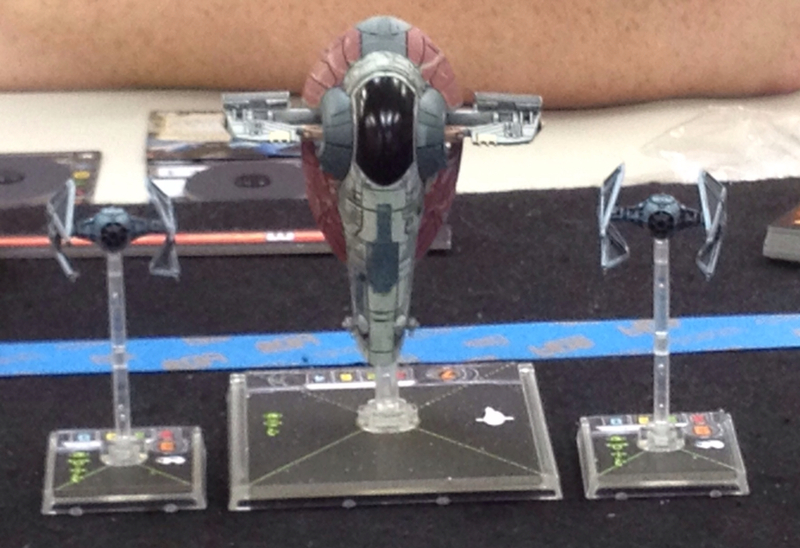 The ship boasts of 5 shields and an 8 hull, but only 1 evade die (with Lando as pilot). In this configuration, it is a smart idea to use your actions each turn on an evade action. This game is on my Christmas list, looks like fun! This game is a lot of fun. If will definitely benefit fom the addition of some new models though. Awesome Ben! I'm so jealous that you have a Falcon!